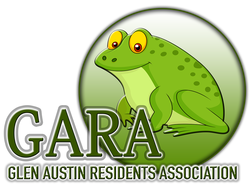 GARA is a Residents association that caters for the needs of ALL residents of Glen Austin, not just homeowners. We aim to provide information to residents on events and developments in their area. We have direct contact with councillors and municipal decision-makers and use these relationships to influence and direct the decisions made about the suburb. In partnership with the residents of Glen Austin, GARA’s sole purpose is to serve the interests of all residents. Glen Austin is on the north eastern side of Midrand. Glen Austin still enjoys a rural atmosphere and one of its most charming features is that no stand (classed as Agricultural Holdings) is smaller than 8500 square meters. Many properties operate off boreholes, which adds value to the property prices due to water security. There are many keen horse owners and stables amongst the residential plots and it is not unusual to see horse riders gently meandering along the roadsides. One also often meets a flock of sheep or a herd of cows, all of which have the right of way! Living in Glen Austin supports the overall vision of Midrand in becoming the first Eco-city in South Africa! Today, Glen Austin is one of two agricultural areas in Midrand with a developmental framework which is taken into consideration by Council before developmental proposals are approved. To preserve Glen Austin's natural habitat, Council went further, doing extensive studies on environmental conservation areas, i.e. the Glen Austin Bird Sanctuary and the Rietspruit water catchments area. Furthermore, the Council does its utmost to regulate signage in the area and to maintain existing services at standard levels. When Glen Austin had excessive through traffic, calming devices were introduced to give horse riders relaxed freedom for riding in the area. Almost logically, Glen Austin is also the home of the well-known Midrand Country Cyclists and it is significant to see how many "city" cyclists escape to the roads in and around Glen Austin during weekends. The Glen Austin Residents Association is dedicated to maintaining and improving the suburb and the environment of its residents. The more visible activities of GARA are the Radio Network, Road Closure initiatives, Conservancy and website (www.glenaustin.co.za). Behind the scenes, GARA is the interface with Joburg Municipality and attends to grievances with respect to roads, services, etc. GARA interfaces with EIA groups and has been effective in shutting down undesirable developments in the area. GARA was instrumental in opening George Road between Old Pta Rd and Allan Rd, relieving pressure on Olifantsfontein Rd. Be aware of the crime statistics of your area. Contribute to safety and security by becoming a member of the block watch. The radio network has been in operation since 1992, run by a small group of volunteers. Used to complement police and security companies, the radio network provides an effective method of contact with neighbours and the blockwatch. Many residents have been assisted by radio network members when experiencing an emergency, or as a means to report suspicious activities and request blockwatch attention. The central controllers have access to the police, ADT, Chubb, Cornerstone and the blockwatch patrols. The cost of a two-way radio is between R1,500 and R2,000; the radio license fee is included in the GARA fees.